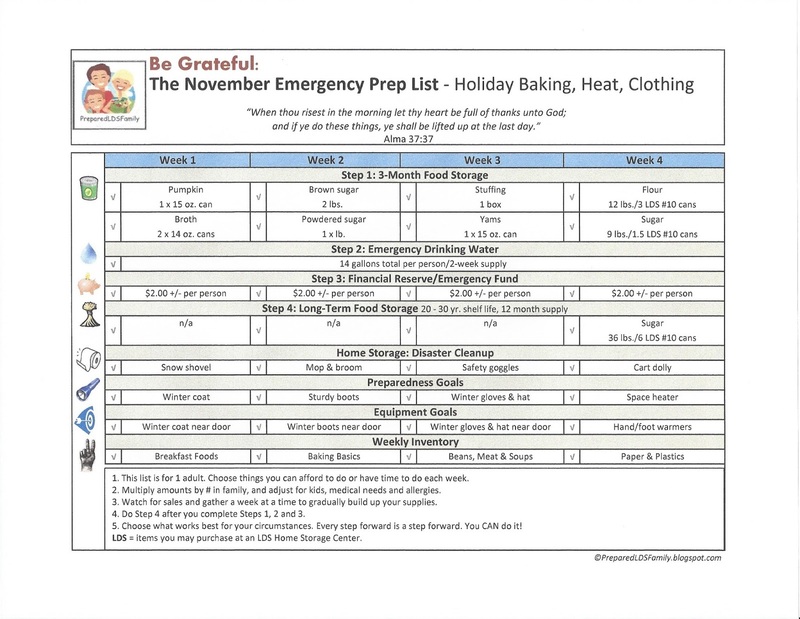 November and December are my favorite months to gather holiday baking foods and baking basics into my food storage. Because of the expense of Christmas gifts and the busyness of the season, I like to gather inexpensive foods during these months. Most of them have a long shelf life, which is awesome. In November the foods I gather look exactly like some of the items you might want for a Thanksgiving feast. Bingo! A great time to get two things done at once. Just buy a few extra to keep on hand to use in your favorite recipes at other times of the year. The list below has all the things I like to gather and emergency supplies as well. 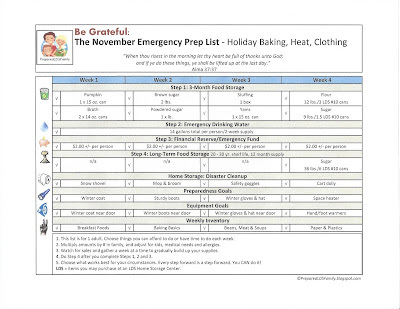 My emergency preparedness focus in November is heating and winter clothing. What would you do if you were without power for two weeks and had no heat? Do you have adequate blankets, coats, boots, hats, or mittens? Preparing for emergencies in mind will help our families during these difficult times. Living here in Utah makes us naturally gather these items every year. But it gets chilly in other states as well. 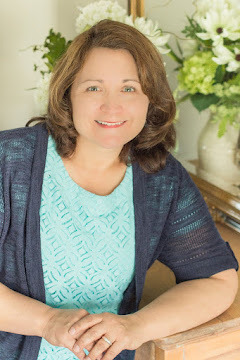 For some great sugar storing tips, check out this article by Leslie Probert, co-author of "Emergency Food Storage in a Nutshell. See my Resources page for her book. I have learned so much from Leslie about food storage, so I highly recommend her. I have much to be grateful for as a mother of 7 beautiful children, 7 grandchildren with two on the way, and being the wife of a great husband. I'm thankful to have my daughter (my fifth missionary) now serving in Illinois. I love the scriptures and words of the living prophets. They strengthen me each day. I am thankful for my readers who come to my site for a little motivation. May you each know that this beautiful earth was created for you. As you look at its beauties remember; you are God's most beautiful creation. Thank you for all your work and for sharing. Greatly appreciated.